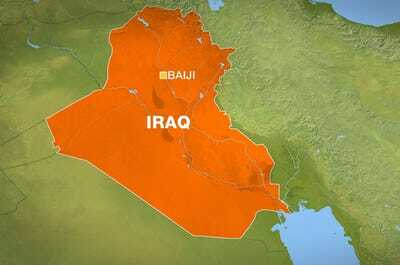 An attack using an improvised explosive device has shut down (for now, not permanently) an oil refinery in the Iraq city of Baiji. One was killed in the blast. According to Al-Jazeera, the refinery had 290K barrel/day potential, though was only operating at 70% capacity. Iraq is heating up, in yet another crisis for the rest of the world to worry about.